southern orders : THE SHADOW POPE? I THINK SO, BUT AM I CLAIRVOYANT? THE SHADOW POPE? I THINK SO, BUT AM I CLAIRVOYANT? I began to write about Pope Benedict as a shadow pope on May 3, 2013, the first link at the end of this long introduction. Given the fact that the late Pope Benedict has spoken from the grave on a number of times, the most recent yesterday at the funeral of Cardinal Meissner, I opined that Pope Benedict was the "shadow" pope to Pope St. John Paul II, especially during the time of His Holiness' incapacitation due to Parkinson's disease. I suspected at the time and still do, that Pope Benedict prefers to be pope behind the scenes. And perhaps, His Holiness is still behind the scenes as an actual pope for a greater good. The late Pope Benedict had asked at the beginning of His Holiness' papacy that the Church would pray that he not flee the wolves--meaning the heterodox of the Church, I presume, especially those in the hierarchy who are opposed to Catholic orthodoxy and interpreting Vatican II as a rupture with the pre-Vatican II Church, and not renewal in continuity as Pope Benedict authoritatively laid out to the Curia in one of his Christmas addresses. By becoming a shadow pope, once again, Pope Benedict may well have allowed the heterodox papacy of Cardinal Kasper, another shadow pope, to come out of the woodwork and show what heterodoxy wants of Catholicism. The late Pope Benedict said yesterday the following bombshell which tells me that Pope Benedict, having spoken to Cardinal Meissner a day before his death, has been doing a lot of speaking wth the cardinals of the Dubia. Is all of this preparing the way for an unprecedented correction that the Dubia intended of a reigning pope but brought about by a late pope--this would truly be a bombshell and create a schism in fact not in theory leading to a smaller but purer Church which the late pontiff, Pope Benedict predicted. What struck me particularly in the last conversations with the Cardinal, now gone home, was the natural cheerfulness, the inner peace and the assurance he had found. We know that it was hard for him, the passionate shepherd and pastor of souls, to leave his office, and this precisely at a time when the Church had a pressing need for shepherds who would oppose the dictatorship of the zeitgeist, fully resolved to act and think from a faith standpoint. Yet I have been all the more impressed that in this last period of his life he learned to let go, and live increasingly from the conviction that the Lord does not leave his Church, even if at times the ship is almost filled to the point of shipwreck. PRESS THESE THREE TITLES FOR MY BLOG POSTS IN THE EARLY DAYS OF POPE FRANCIS' PAPACY ABOUT THE SHADOW POPE, POPE BENEDICT! CLAIRVOYANT AM I? YOU DECIDE! 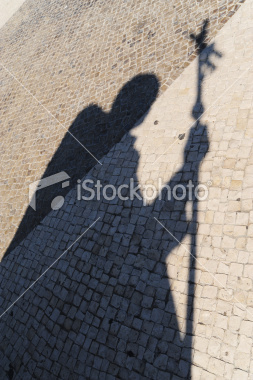 BOMBSHELL: SHADOW POPE AT THE SYNOD? ONE OF THE POPES INCAPACITATED? HANS KUNG BELIEVES THAT POPE BENEDICT REMAINS A SHADOW POPE AND THAT ARCHBISHOPS MULLER AND GANSWEIN ARE RUNNING THE CHURCH AND POPE FRANCIS IS BUT A HAPLESS PUPPET UNABLE TO RULE BECAUSE OF HIS UNDERLINGS! This is why popes should not resign. I really doubt Benedict has any intention to challenge or undermine Pope Francis, but I can't really know what his intentions are. I assume he did not intend his remarks about Cardinal Meisner to be taken as they are; but then, how could he not have anticipated it? And, I think, if a pope really does have to resign, he should not be called "pope" in any formulation. It should be "Bishop Ratzinger" -- or, if you wish, "Archbishop Ratzinger." Perhaps even "Cardinal..." but I am dubious about that. I don't think that Benedict XVI did resign of his own free will. He was either forced out or led to believe by others that there was no other way. I doubt that his resignation is legitimate and in time I believe that will lead to the revising of a lot that has happened during this current "papacy" - things will be thus put to rights.